"She goes, 'Wait, wait, wait. You mean like the meet record? The American record?'" Eaton recalled. "I said 'No mom. I broke the WORLD RECORD - the never-been-done-before record.'" - Oregon senior Ashton Eaton in a Recommended Read AP story about his shocking heptathlon world record set at the NCAA championships 12 days ago. 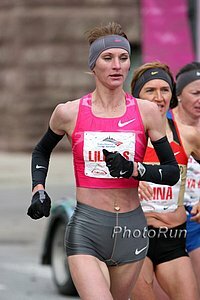 Good News: Austrian Track Official Wants To Reopen Doping Investigation Into 2000 Sydney 800m Olympic Medalist Stephanie Graf The Secretary General of Austrian Athletics wants WADA to dig deeper and see if Graf, who admitted to having blood withdrawn in a lab, was getting it re-injected during her career. These investigations should be fascinating. Downpour And Sudden Warm Weather Make Mudfest Possible In Poland This is why it's the greatest race on the planet. Polish-Born Magdalena Lewy Boulet And Worlds Veteran Ryan Vail Named US Senior Captains NCAA team XC champion Ryan Vail just ran out of college eligibility but this is his 3rd World XC Team.